An Iranian deputy foreign minister stressed the need for closer business ties between Tehran and Tokyo, saying that the two countries have decided to boost their mutual economic cooperation following the removal of anti-Tehran sanctions. 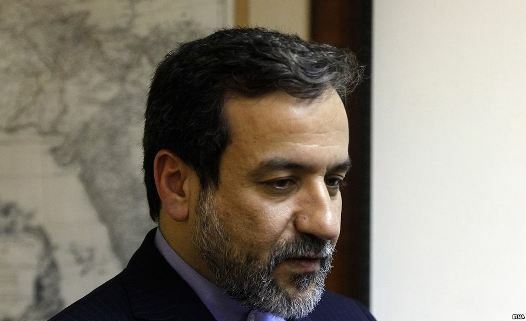 “We had a very good meeting today and mainly we talked about how to expand mutual relations and cooperation in order to prepare needed infrastructures to reach goals in financial and economic issues in the post-sanctions era,” Iran’s Deputy Foreign Minister for Legal and International Affairs Seyed Abbas Araqchi told Japan’s Kyodo News. He made the remarks following a Saturday meeting with his Japanese counterpart Kentaro Sonoura in Tehran. “Iran is grateful to Japan for the allocation of the $10 billion credit line and we are sure that this action by Japan will lead to the blossoming of the two countries’ financial ties,” he further said. Sonoura arrived in the Iranian capital on Friday and left the country for Qatar late on Saturday. He is also planned to visit a number of other Middle Eastern countries, including Jordan and Egypt. The Japanese government lifted its sanctions on Iran in January and signed a bilateral investment pact in February in a bid to help Japanese companies do business there amid intensifying foreign competition for access to the Iranian market. International interest in ties with Iran has been growing since Tehran and the Group 5+1 (Russia, China, the US, Britain, France and Germany) on July 14, 2015 finalized the comprehensive nuclear deal and started implementing it on January 16.